On 16th and 17th of November in the congress hall of Podkarpackie Voivodship – G2A Arena in Jasionka near Rzeszów will be a meeting of representatives of big and small business, science, politics and public administration. During the event there will be series of discussion panels which will be about challenges that Polish entrepreneurs are facing and also about problems they struggle with every day. Kongres 590 is a perfect place for entrepreneurs interested in networking or B2B meetings. For them, there will be organized numerous discussion panels, power speeches or stands with our strategic partners offers. Is digitization of the energy sector a chance or a threat? Technological trends in the digitization of the energy sector can influence the future shape of the energy markets. For some time, the energy sector see the potential of decentralized registers, i.e. the blockchain or chain of data blocks, for management. Polish power companies are now implementing solutions in the field of IoT (Internet of Things), which measure actual power consumption in real-time and can continuously adjust usage of energy and fees. This solutions are moving away from the standard subscription model. There is a growing potential of solutions that decentralize the energy sector, where the consumer will be a co-producer of energy, a vehicle will be an energy store, household appliances will be an integrated system and power plants will be an emergency power storages powered by wind and sun. For today this is just a future model that everyone will consistently strive for. 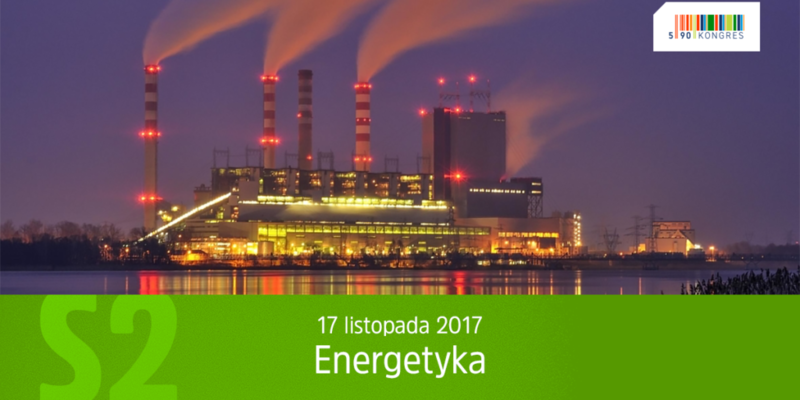 What are the chances and challenges that digitization pose to the Polish energy sector in the next decade? Henryk Baranowski, CEO of the Board, PGE S.A.
Nikodem Bończa Tomaszewski, President of the Board, Exatel S.A.
Christian Schnell, Vice President, Union of Entrepreneurs and Employers of the Energy Sector. Grzegorz Nowaczewski, CEO of the Board, Virtual Power Plant Sp. z.o.o. The moderator of conversation will be Wojciech Jakóbik, editor-in-chief of the BiznesAlert.pl portal.